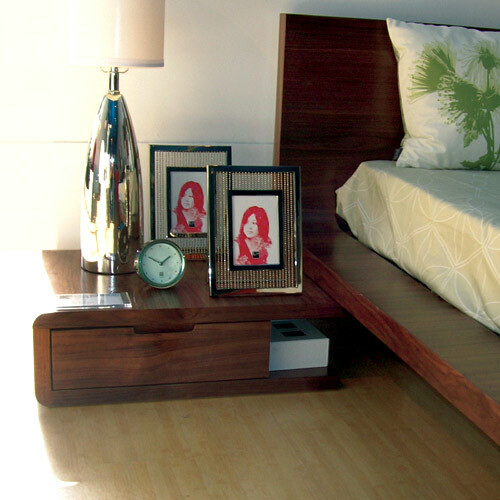 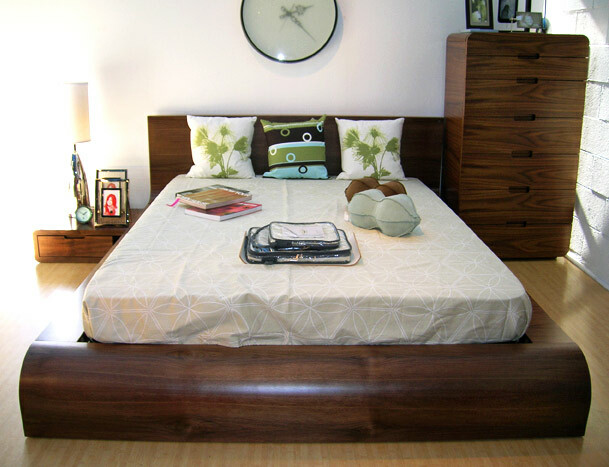 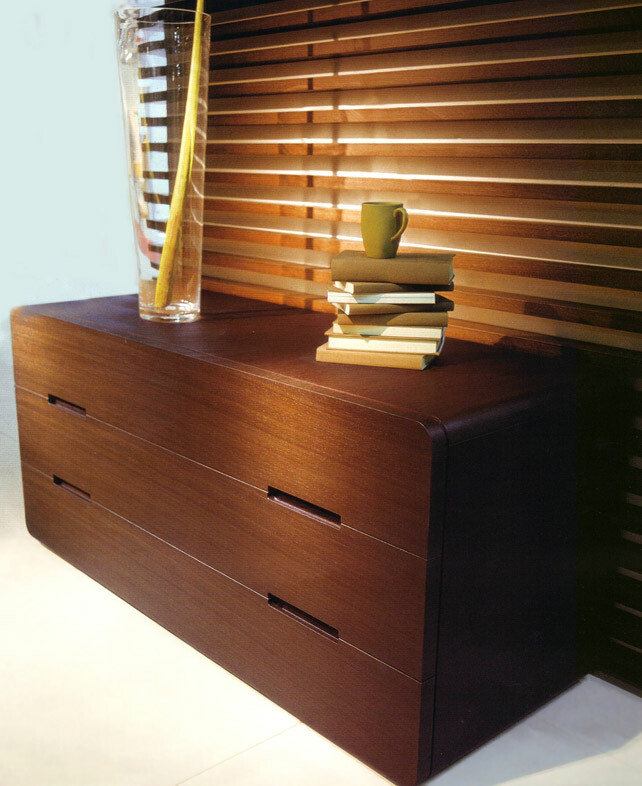 The Flow Modern Platform Bed is simple yet unique in its appearance and features a low profile, solid hardwood frame with optional matching nightstands, finished in a rich natural walnut and chocolate on oak. 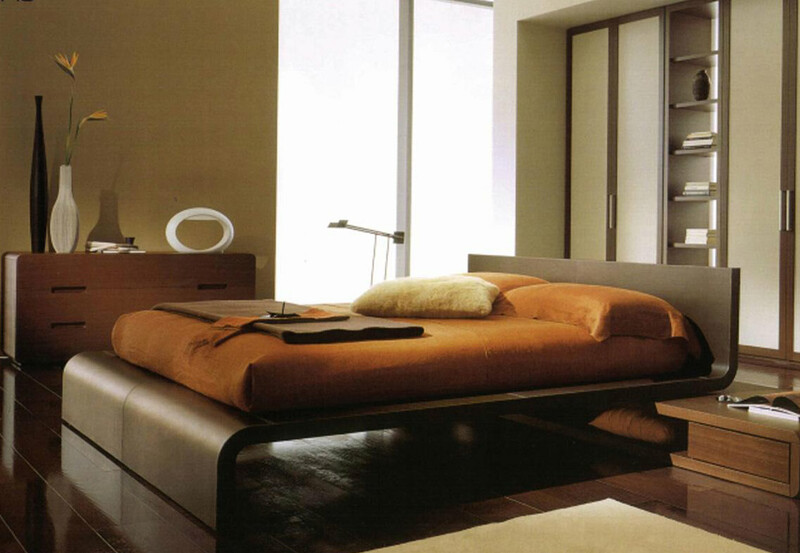 The curves of this contemporary platform bed and its clean flowing lines are sure to add a touch of class to your modern decor. 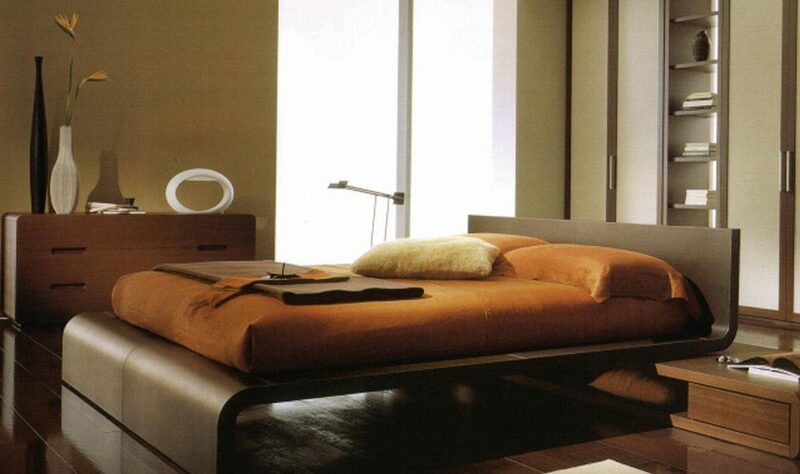 Platform sits low to the floor to give a low profile look that is extremely minimalist and contemporary.